Are you looking for best manufacturing business ideas? 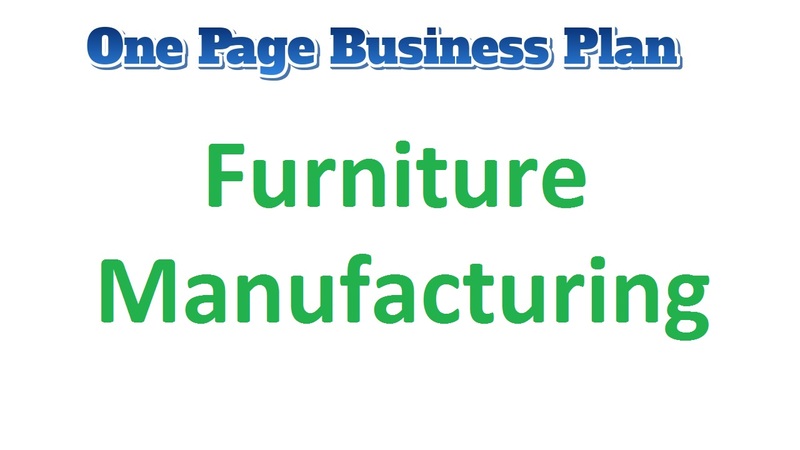 The furniture manufacturing industry is indeed a beneficial business. However, it is such that requires a big amount of capital to start. This type of business needs loads of manpower as well as investment to run. This is so because it requires that furniture in produced and you will agree with me that this will include lots of processes. From sourcing for the raw materials to make the materials and what have you. In establishing up any business, the amount or cost will depend on the approach and scale you want to undertake. If you plan to go big by renting/leasing a big facility, then you would need a big amount of capital as you would need to ensure that your employees are well taken care of and that your facility is conducive enough for workers to be creative and productive. This means that the start-up can either be low or high depending on your goals, vision, and desires for your business. The tools and materials that will be used are nearly the same cost everywhere, and any difference in prices would be minimal and can be overlooked. Your business location should be in a busy traffic area so that you get noticed. And customers visit your shop. Also, keep in mind to establish your shop with least or no competition whatsoever. One of your major goals of starting a furniture manufacturing should be to build a business that will survive off its own cash flow without the need for injecting finance from external sources once the business is officially running. Know that the ways of gaining approval and winning customers over are to manufacture durable and quality furniture and to retail, your wide range of quality home and office furniture a little bit cheaper than what is obtainable in the market and you should be well prepared to survive on the lower profit margin for a while. Also make sure that the right foundation, structures, and processes are put in place to ensure that your staff welfare is well taken of. Your company’s corporate culture should be designed to drive your business to greater heights and training and re-training of your workforce is on the top burner. As a matter of fact, the profit-sharing arrangement should be made available to all your management staff and it will be based on their performance for a period of six years or more. Know that if that is put in place, you will be able to successfully hire and retain the best hands you can get in the industry; they will be more committed to helping you build the business of your dreams. In order to continue to be in business and grow, you must continue to manufacture and sell the furniture that is available in your showrooms which is why you will go all out to empower your sales and marketing team to deliver. Even though a degree is not required, but you do need experience to run a business like so, because it requires practice and knowledge. What you can do is, work with a furniture manufacturing company, as a manager and know how to run and manage a business like so. Even though this will take you while to start your very own furniture manufacturing business, but will know all the pros and cons of this business. This business comes a great deal of profit than that of losses. Ones you have stepped yourself into the business, you will soon roll in money by the third year of your business. Your key to success is marketing and living up to your customers’ expectations.